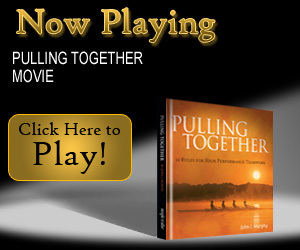 The 100/0 Principle w/Free Dvd~The Secret of Great Relationships. If you think about it, when you look back at the end of your life what will really matter? The quality of your relationships. The 100/0 Principle may be the most important book you'll ever read. •Think about it...when you look back at the end of your life, what will really matter? FIVE WORDS...The quality of your relationships •100/0 Principle w/Free Dvd, The Secret of Great Relationships, may be the most important book you'll ever read. •If you like "212, the Extra Degree," you are going to love this book! Brian Tracy said..."Eighty percent of life's satisfaction comes from meaningful relationships." Think about it...when you look back at the end of your life what will really matter? Five words...the quality of your relationships. The 100/0 Principle w/Free Dvd ...The Secret of Great Relationships, may be the most important book you'll ever read. The message is truly life-changing. Author Al Ritter is a management consultant who works with CEO's, other leaders and teams, who are committed to achieving breakthrough results. Also, as a professional speaker, Al has delivered over 500 speeches, workshops and seminars. 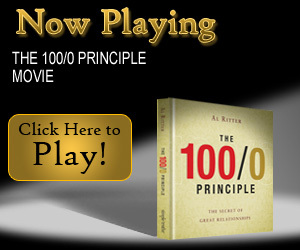 Simply put, The 100/0 Principle w/Free Dvd by Al Ritter is a book that can benefit anyone. It can make your marriage better and greatly improve your relationships with family members, friends, co-workers...even your boss.